welcome to the assemblage point shift 2 ! This is the second official Ontofield newsletter. Subscribers have early access to this Newsletter, before it goes onto the Ontofield website, - to subscribe for this free newsletter, please signup here. 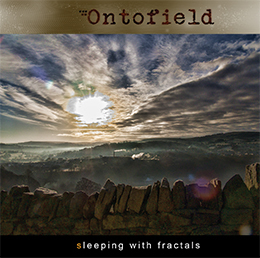 The Ontofield year, since the launch of the album Sleeping With Fractals at the end of June 2013, has been very busy to say the least. We've made some great friends all over the world and had fantastic reviews of the album so far. To round the year off, John Graham agreed to do an Interview with Jerry Lucky, where he talks about his influences and the way that technology now means that there are far fewer restrictions on what can be created by one person. John also talks about how the internet has played such a positive role in getting recognition and awareness for Ontofield. There is also a Desert Island Disc moment! You can see that interview over at www.jerrylucky.com. Ontofield have had a great year for airplay and got significant exposure on Radio here in the UK and also all over the world, including Progstreaming and others, which all added to a large number of subscribers and fans for Ontofield. 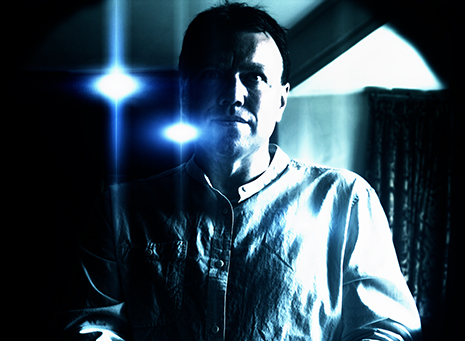 After taking a bit of a break and a well earned rest, John Graham has started writing new material for the follow up album to Sleeping With Fractals, although that is in the very early days. We've also included some photos of the recently refreshed Ontofield Studio, so you can get a better idea of where the music happens. friends of Ontofield all over the world! 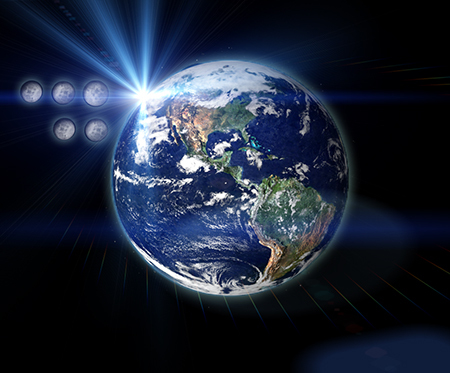 Since the release of Sleeping With Fractals, Ontofield have continued to gather friends and fans from all over the world, from Russia, to France, Germany and from the USA to The Netherlands, from New Zealand and Australia to Canada, from Japan to the UK. We want to say thank you for all your support, great reviews and interviews, your messages of kindness and help in spreading the word about Ontofield throughout 2013. It's been a fantastic year for music, with a large amount of new and debut releases from old and new favourites. The internet has meant that we can get to promote our music to a huge amount of people all over the world and has meant that even Ontofield and our modest little record label - Adient Records, now has a global reach and we are very grateful for that. Who needs corporate magazines and their sponsors! ℗ & © 2013 Adient Records. All Rights Reserved. There have been a number of great reviews of Sleeping With Fractals, which you can read here. Some of the reviews are not in English, however, you can get a translation from various services quite easily, although some of the translations had us scratching our heads at the meaning of some of the more creative descriptions... See for yourself! "We released SWF at the end of June 2013 and it has been a huge success for Ontofield and it's been critically acclaimed by a number of highly respected critics. I have always maintained that I wouldn't read any reviews, but I have to say that I have read them on various occasions, where people have pointed them out to me and I have been overwhelmed with the reception SWF has received. Here's some photos of the Ontofield studio, where pretty much everything happens and also sometimes, where very little indeed happens! It's pretty small, but works very well. The "live room" is across the way and typically, this is where the vocals and guitars get tracked. 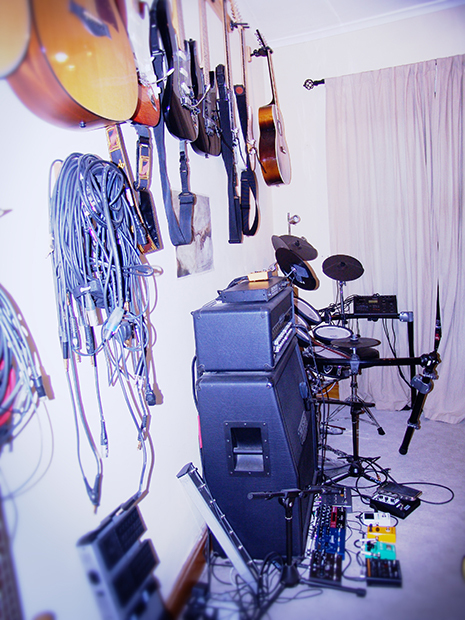 The "Live Room" is in fact, a small empty room and only tranforms into the grandly titled "live room" when we stick an amp or two in there and maybe some mics and stands. 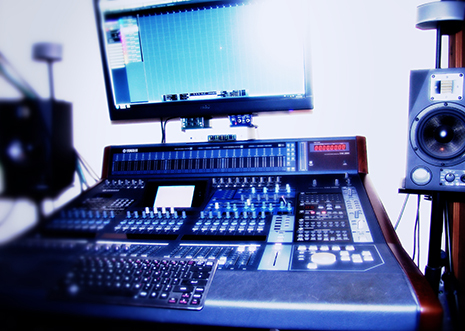 This is the main mixing desk and monitoring position. A lot of time gets spent here. rather than those whom one might quite reasonably suspect of simply being paid to review stuff. It's a pretty big reward for anyone to like my music, so I am really grateful to all those follk who have listened and given Ontofield such great reviews. I'm currently working on a follow up album to SWF, although I'm in the very early stages. 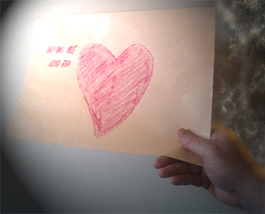 There is certainly plenty of inspiration out there for a lot more material. The screw has been tightening noticeably more and more this year, with the reduction in "democracy" and the ongoing corporate takeover of our planet reaching deeper down into our lives and those around us. They seem to get away with it by taking little steps at a time, hoping nobody will notice... Although, what is also evident, is a large swathe of the population is really waking up to what is happening and people of all ages are starting to make a stand. I have also given the studio a refresh and I've flogged off a load of stuff that wasn't being used and added a few instruments that have helped inspire me to get some new tunes and ideas together. I think I will probably start recording in January 2014. There won't be the huge learning curve this time, which is a relief and should mean the new album doesn't take anywhere near the time SWF did. I'm considering the options of getting in some guest musicians to help out on the next album, such as a sax player and maybe some backing vocals. Who knows where it might lead? I think I am more at ease and confident in bringing some people in to do something these days, certainly after the success of the Sleeping With Fractals album. I know a couple of friends that have been "palely loitering" and seem pretty keen to stick their oars in..."
As ever, we would really love to hear from you! Let us know what you think of the album, the website, the lyrics, this newsletter, the state of the world, what we should do about it, giant pharma, giant food, the lying, insidious mass media, sprituality, manufacturing of consent, belief, propaganda, the military industrial complex, what are you reading and listening to? Anything! Give us your suggestions. This newsletter is yours, so get in touch with what you want to see and talk about, we are listening. You can use the contact us form on the website, which, is here. 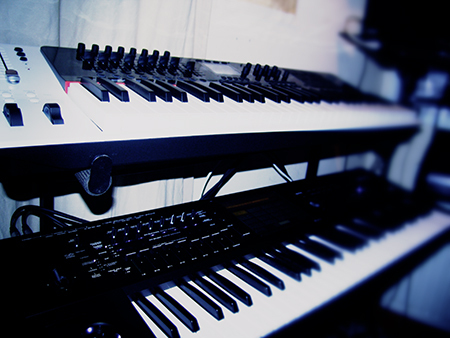 The synth area for hardware and software synths and where a lot of editing goes on as well..Many hours spent here too. Drums, Drums, Drums.....This kit is great for bashing around on at any volume you like and, if you have the samples, any drum kit you like as well. Great for getting ideas down quickly onto the sequencer quickly as midi, then the freedom to edit, chop and change as much as you want. 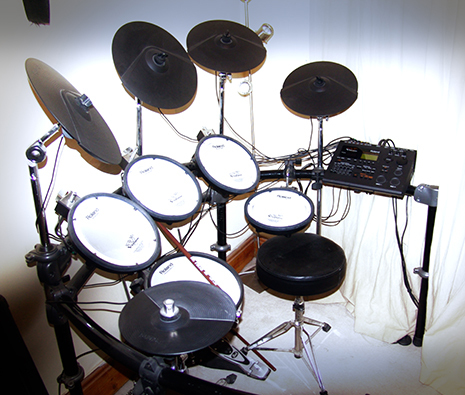 Great for drummers to just come in and let rip and record some ideas without the long miking setup times. This is the guitar wall. Another area that has been changed around, and only the guitars that are regularly played by people get to stay. 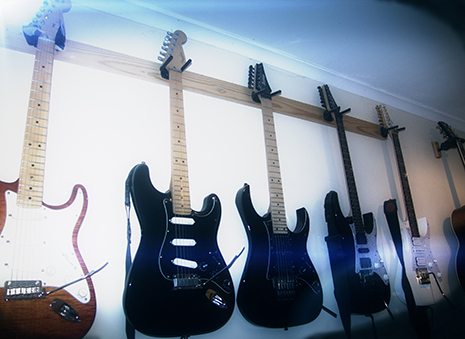 All these guitars were used on the Sleeping With Fractals album, in some form or another. The acoustic guiitars and basses are just out of shot on this one. Hopefully, a Fender Telecaster will be making its way onto that wall in the near future. The recently, much reduced synth population in here has freed up some room and will hopefully be repopulated with a Prophet 08 amongst other things..
John ditched his TC G-System and went for a collection of single pedals, mostly the new Strymon pedals, with Eventide, Neo Instruments and Sonuus. 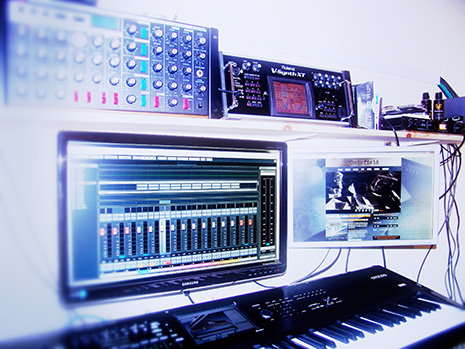 The possibilities are endless and there is already a large array of tweaked noises ready for the next Ontofield album. The Mesa Boogie Roadster stayed put though.... John has tried so many different amplifiers over the years and this one provides all the various different tones he uses in one place and he's very happy with it. Mics for the electric guitars are usually the trusty Sure SM57 and the Sennheiser e906. We are going to try to use a stereo config for the next album, providing John gets an additional amp that he's OK with! Get hold of sleeping with fractals now!